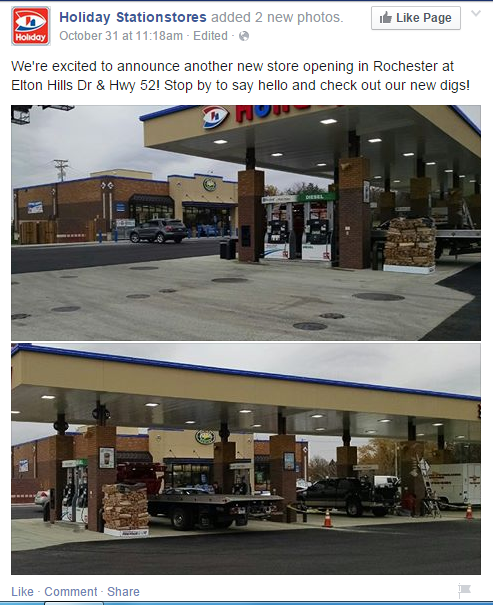 If you're not currently using Facebook for your C-Store marketing, you may not be seeing the potential opportunities it can bring your business. If you are using Facebook, you may still be missing out on the maximum potential opportunities it can bring. Facebook has said that around 16% of your fans are actually going to see your post in their news feed. So how do you increase this number and how do you turn fans into sales? 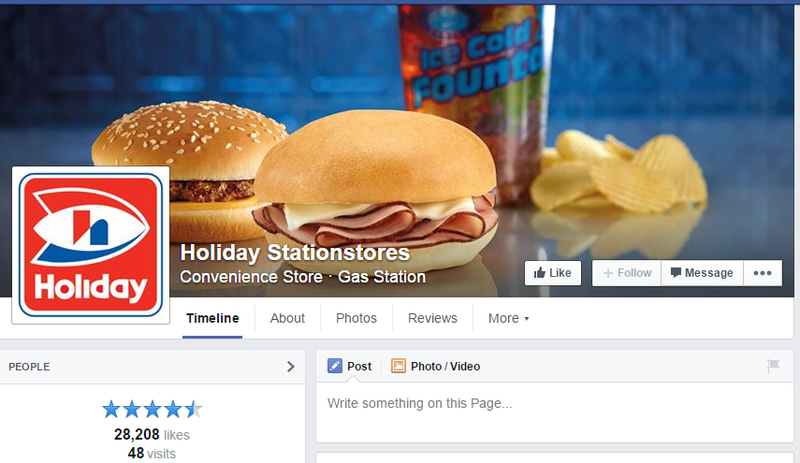 Holiday Stationstores is an example of how to use Facebook as a C-Store to attract more potential customers and keep your company on top of their mind constantly. 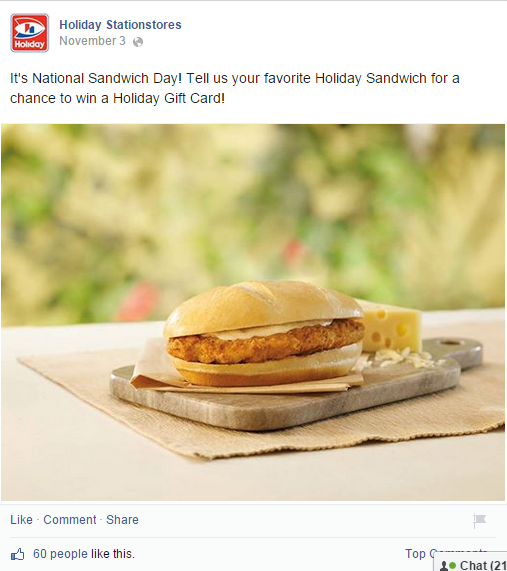 Here are five ways Holiday is using Facebook the right way. 1. 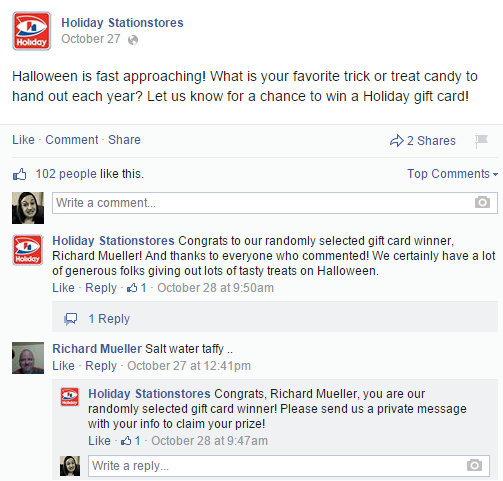 Post about holidays and events that are related to your business or its customers. These are great opportunities to get the attention of more potential customers. 2. Keep your customers in the loop with company news. Holiday talks about new locations and new products so that their customers always know what is going on. 3. Engage your customers by asking questions.... and reward them for their responses. Holiday asks their fans questions about themselves. Then they reward them for taking the time to talk to them. 4. Most importantly, provide great customer service! 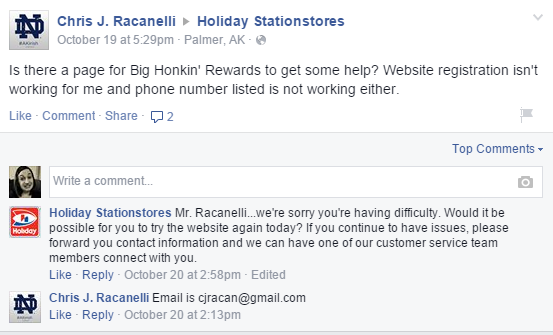 Holiday responds to customers when they have an issue or complaint. 5. 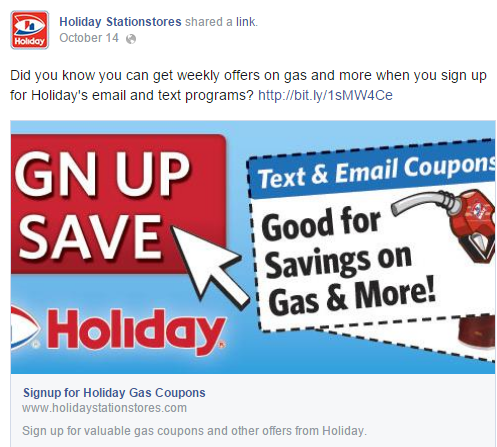 Holiday shares links to their landing pages, promoting things such as their loyalty program. This converts their Facebook fans into loyalty reward members, which brings them into the store more - coverting to sales! Loyal customers appear on Facebook. They follow your company and your brand in order to state that they are loyal to you and to get updates about your business. They want to interact with your brand and have an interest in what you have to say. Engage with them and keep them loyal to your business! Download the Ultimate C-Store Guide to Loyalty to learn more about keeping your customers loyal.